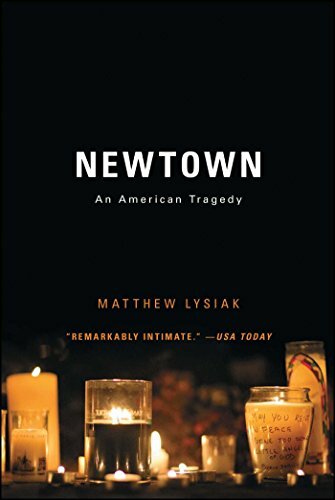 The author takes us into the story of the tragic day of December 14, 2012 where 20 children and 6 educators were killed during a school shooting in Sandy Hook, Connecticut. Adam Lanza shot his mom, then went to the school on a killing spree, then killed himself. But not before changing the lives of everyone in this town forever. The author discusses the children, the tragedy, and the aftermath in the year following the tragedy. Drawn from first hand accounts, emails, police reports, and interviews, the author pieces this horrible tragedy together. I had a hard time with this book. And not because it was written poorly (the writing was okay), but the story is incredibly tragic. I didn't live far from Newtown when the tragedy happened, and my youngest two children are the same age as the children killed that day. Not a day goes by that I don't think of those children and think what they would now be like as 12 year old children. On how much my children have done in the last 5 1/2 years that these children will never get to experience. I cried with each chapter. The story is very very hard to read. The details of the day and how those children suffered and the children who survived - what they saw and heard - is almost too much to comprehend. They were babies. Since Sandy Hook, there have been many more school shootings. Too many. And nothing changes. I have always said - if nothing changed after 20 innocent 6 year olds were killed - then nothing will. Take a look at this story. Make sure you have your kleenex near by.